Jennifer Dove from DoveArt Studio is back with another collection of amazing stamps, and we have a wonderful, colourful Blog Hop, so you can enjoy them all. The stamps are available now! Be sure to leave a comment on each Blog on the Hop, because two of them hold a prize. What's the prize? Good question. Two random winners will receive two stamps from this release. The winner will be announced at 1am EST, on Monday 1 February. Awesome card love the butterfly in this stamp. Wow! I expected that butterfly to flutter off the page! Beautiful colouring and creation! Fantastic card designs. Love the coloring on each of them. You are very talented! Stunning!~!!! Your coloring is just fantastic. Fabulous ideas and inspiration. Love you color selection and your card is so beautiful. So pretty and the design of the card is simple but eye catching. 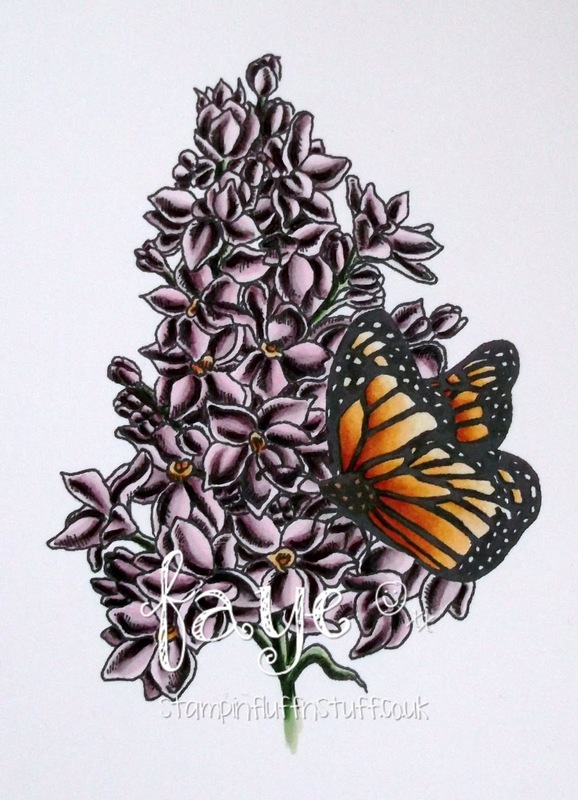 Great color on the lilacs, but the butterfly is really beautiful. Great card. 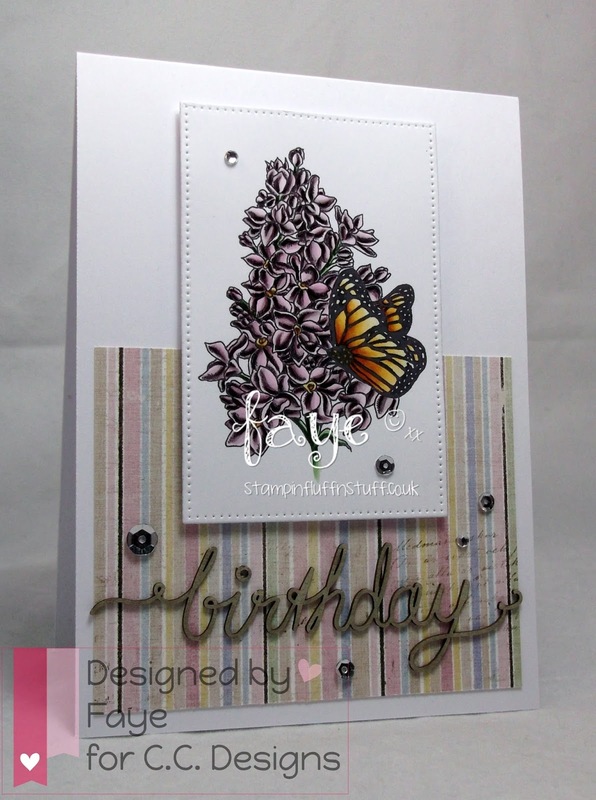 Love the stamp combo, flowers and butterfly, great details. The colors chosen and color I g are both awesome. Beautiful work! Such a pretty card! I like the colors you've chosen to go with the stamped image. Thanks for sharing. Love your awesome card and you've used my favorite stamp from her new release. Gorgeous card - love the layers and the coloring. your coloring is beautiful. I can't wait to try the shading on the stamps that help in coloring. Wow...love the colors you used!!! I was mistaken ... 4 cards inone day !!!! Lovely stamp and I love the colours you used !